• Accounting of Islam enshrined the rule of the strong, faith, as well as the recognition that God is God, Islam is a religion, Muhammad is the Apostle, and also believe in the last day. • Accounting of Islam based on the good morals. Therefore, a process of implementing accounting accounting should be able to have a trustful, honest, neutral, fair, and professional. • In Islam, an accountant is considered responsible in front of the community and Muslims about how much economic unity that is affected by Sharia law, especially with regard to muamalah. • Based on the privileges that are rules and morals in Islam also, accounting related to financial processes. • Accounting in Islam is concerned aspects of behavior as an element and also plays a role in economic unity. In conventional accounting practices, insurance premiums are recognized as revenue, even though the insurance premium has not been paid. While the accounting practices in takaful or Islamic insurance, or installment premiums and profit from an investment is truly recognized as revenue if the companies have received it in cash. This accounting practice has an important meaning related to the business system berperinsip on the mudharabah contract which binds between the participants with the company in a deal for the results. 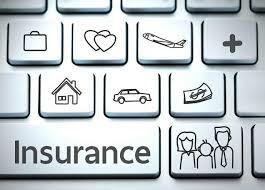 In conventional insurance practice load during the reinsurance treaties, recognized as the initial insurance dikover. This accounting practices in accordance with the accepted standards, i.e. the comparison of revenue with the burden that occurs during walking. In Takaful accounting system, the burden of retakaful Treaty during the period are recognized as debt until it is paid in installments or Takaful premiums by participants. However, the load will be recognized as this retakaful income juika whole premiums paid in advance by participants. In conventional insurance, investment of surplus ditrasfer to the shareholder as income. However, in family Takaful (soul), the company is not entitled to recognize this as a surplus of income. On Takaful family only profit from investment funds were shared between the participant and the company is exchanged (e.g. 70:30 or 60:40). After deducting the portion of profits for the company, the rest of this profit is income for participants of Takaful who dikreditan kerening participants. Profit from the General Takaful (losses) are distributed based on the ratio of profit which has been agreed between the company and participants of Takaful. Benefit is payable if the participant is still bound to tafakul the agreement or contract. The technical aspects of insurance accounting, Tafakul describes the added value or profit expressed in a fair and transparent. So, neither the company nor the participants of insurance tafakul not feel aggrieved. Another advantage is that the existence of long-term values of community, tolong-menolong, and menaggung each other if among the participants happen to claim a loss. This is the side the possibility of Takaful insurance.